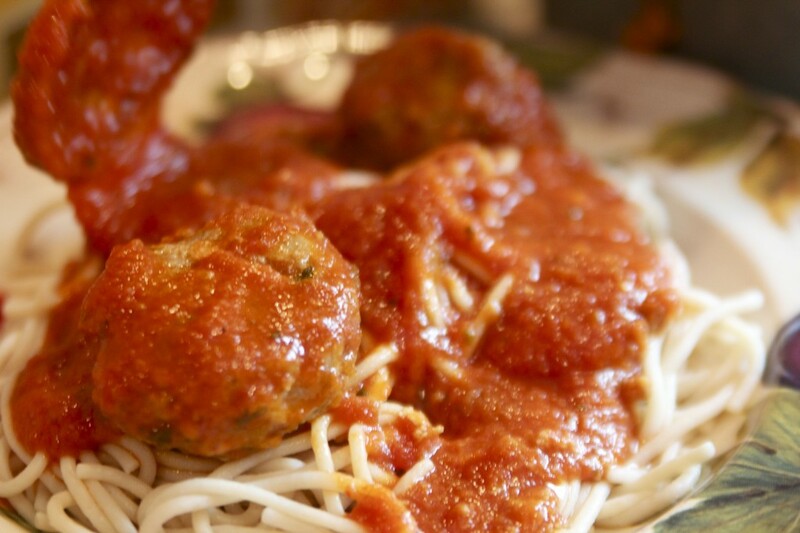 Nothing says comfort food to me like Spaghetti & Meatballs. I have been enjoying this recipe for years – I’ve adapted it a bit from it’s original, Cuisine at Home publication. I think it’s now healthier and pairs perfect with Garden Good (or Bean Good if you prefer even more protein!). You can serve over Brown Rice noodles or whole wheat spaghetti/angel hair noodles…even Spaghetti Squash. This recipe makes A LOT – so I usually freeze half for a night that I need a quick meal. And the grated zucchini is my trademark ingredient in all recipes that call for ground turkey – it keeps it moist and boosts veggie content while looking like basil. 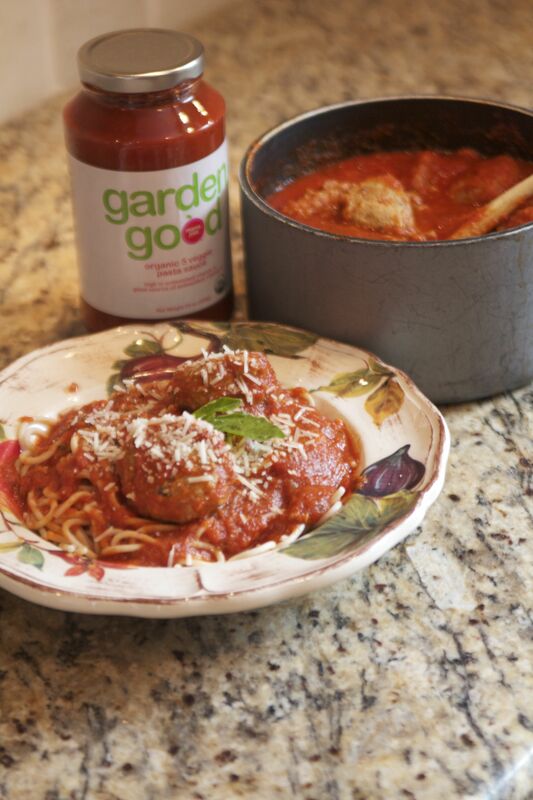 My kids can’t get enough of these meatballs…hope you enjoy them too! This is a FAVORITE in my house! 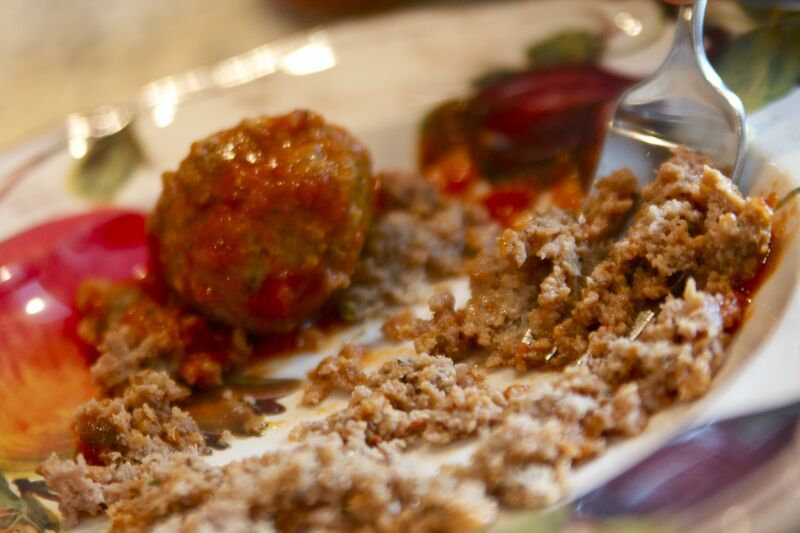 combine ground turkey, zucchini and bread crumbs. stir thoroughly with a fork. stir together all ingredients (except the ground turkey) in a large mixing bowl. be sure to only use 1/2 cup broth now. add the ground turkey and mix together thoroughly. using a portioning scoop or 2 spoons, shape the mixture into balls (about 2” in diameter or 1 1/2 oz. each). coat in baking sheet or shallow roasting pan with nonstick cooking spray. space the meatballs on the pan so they’re not touching or crowded together. cover bottom of pan with 1 cup chicken broth. bake for 15 minutes, turn over, and bake for an additional 10 minutes, or until meatballs are cooked through. add 2 jars of mama jess sauce (garden good or bean good) to a sauce pan, add meatballs and simmer while you make your noodles. 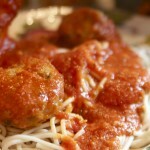 i always smash up one or two meatballs into the sauce too (see picture below)! cut recipe in half for 1lb. of ground meat. BTW – this goes great with these Green Beans from Jamie Oliver! Line up green beans on a chopping board. Cut off the stalks, leaving the wispy ends as they are—they look nice! Put the beans into a large saucepan of boiling water with the pinch of salt and cook for about 6 minutes. Try one—if it's soft and not squeaky when you eat it, they're done. Drain them in a colander, reserving some of the cooking water, and set them aside to steam dry. Put the pan back on the heat, add the oil and the garlic, and give it a stir. When the garlic starts to turn golden, add the beans and jiggle the pan around to coat them in the garlicky oil. Add a ladleful of the reserved cooking water, the Parmesan, and the juice from the half lemon. Stir and simmer until the water and cheese start to form an oozy, sticky sauce, then remove from the heat and serve immediately.